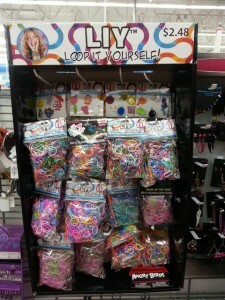 LIY LOOP IT YOURSELF! 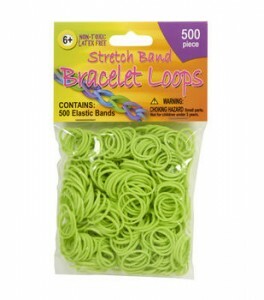 rubber bands found at Walmart. Located at the girls jewelry section. 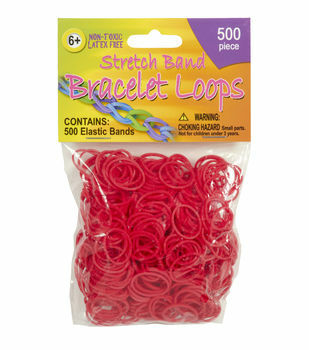 $2.48 each, 400 pcs, with clips and a hook. 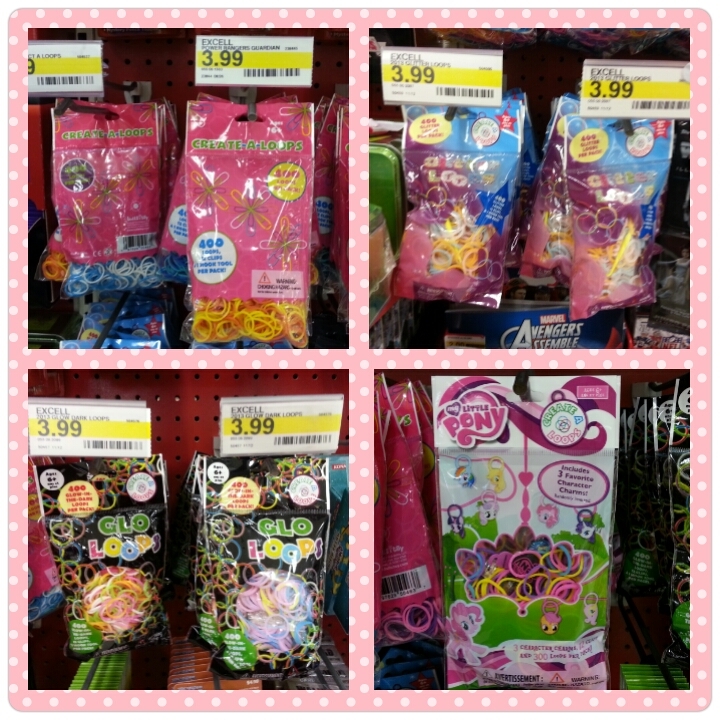 Only has Multi-color packages, those glow in the dark will glow to green color only. Glitter is not glitter enough. 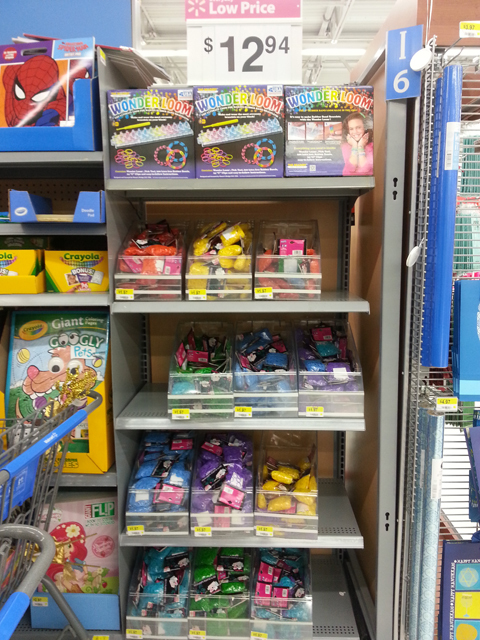 Loom bands found at Walmart. Next to the Book section. 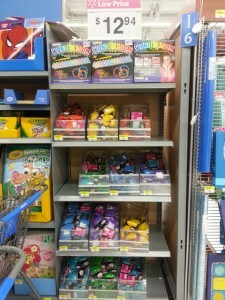 These are next to the Book section. 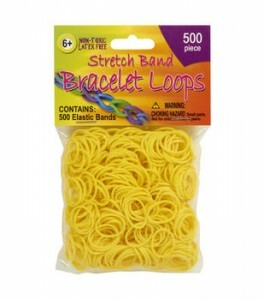 $12.94 for an off brand rubber band bracelet maker. 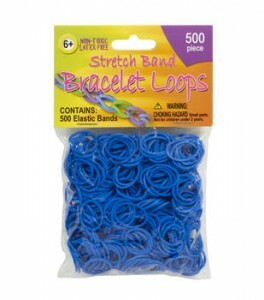 Those bands are DIY brand, same brand that selling at Five Below, they are $1.97 each, expensive then 3 for $5 at Five Below, but yesterday was out of stock in Five Below. 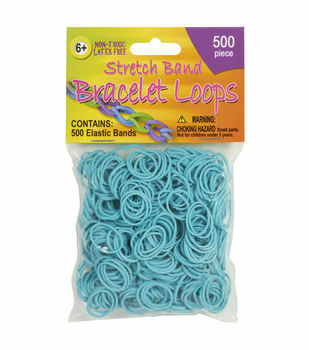 Off brand rubber bands found selling at Target. Found these rubber bands at Target today, they are $3.99 each, but only 400 bands, 12 clips. And found many broken bands inside. Too expensive for an off brand poor quality bands. 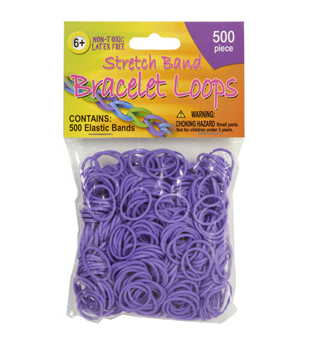 $3.99 can get 600 bands of the official brand Rainbow loom bands at Michael’s. My little Pony package comes with 3 charms. 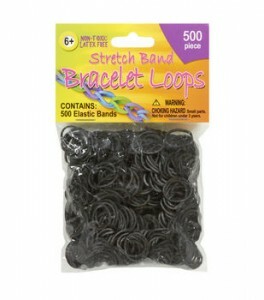 It’s on sale, only $1.19 per pack, with 500 bands but no clips (Reg. $1.99). and free shipping, so today I ordered 1 for each color, so total is after taxed is only $13.24, average $0.0026 per band. 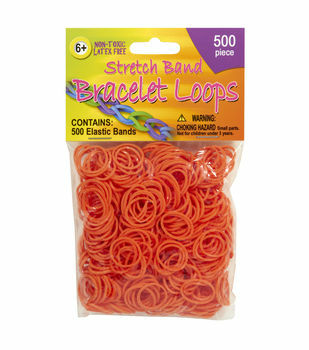 Even cheaper than multi-color pack on Amazon.com. 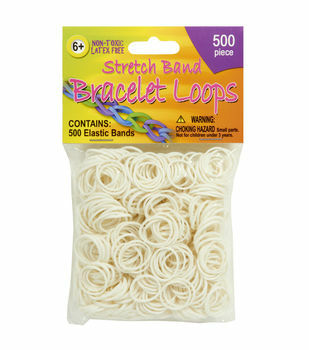 Updated: After used these rubber bands for many bracelets, I would not suggest you to buy these. The quality is really bad, many bands broken when I was making bracelets and charms. Some rubber bands also wearing off on the finished projects.